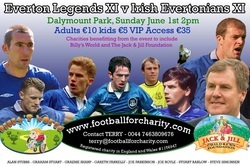 An Everton legends team will be on show at Dalymount Park on june 1st at 2pm. 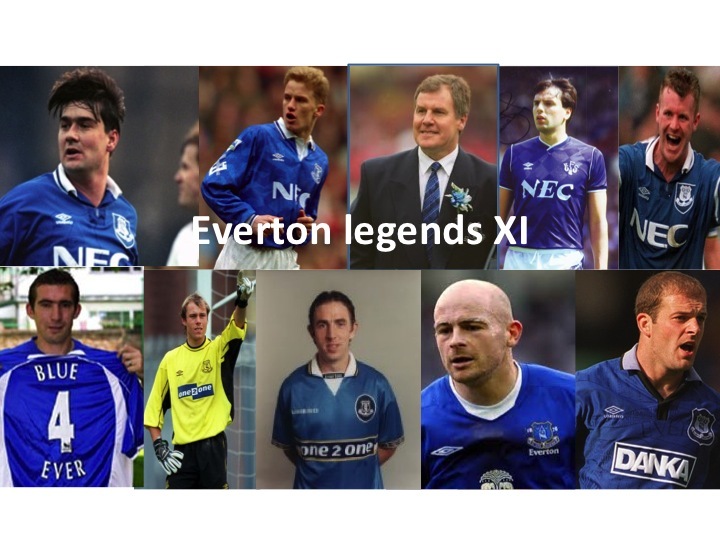 The Legends include manager Joe Royle, Steve Simonsen, Ian Snodin, Joe Parkinson, Alan Stubbs, Gareth Farrelly, Stuart Barlow, Graham Stuart, Graeme Sharp, plus waiting on a couple to be confirmed. Tickets are 10 euro for adults, 5 euro for kids(under 16's), under 5's free. VIP Tickets are 35 euro each. Adult and child VIP tickets are 50 euro. You can pay on the day. 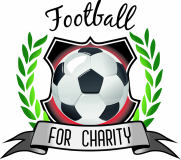 This was a great event, the lads that played raised over 4000 euro for the local charities and Football FC. Pictures to follow.